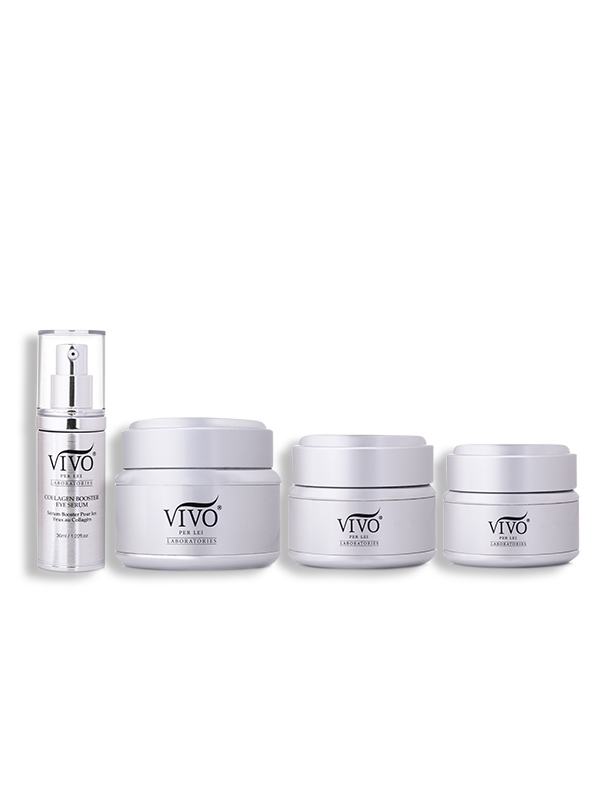 Formulated with ingredients like Soluble Collagen, encapsulated Caffeine, Vitamins A and C and anti-aging peptides, the Vivo Laboratories Collagen Rejuvenating Cream helps restore the radiance of youth to your appearance as your skin is made to feel smoother, softer and more energized. 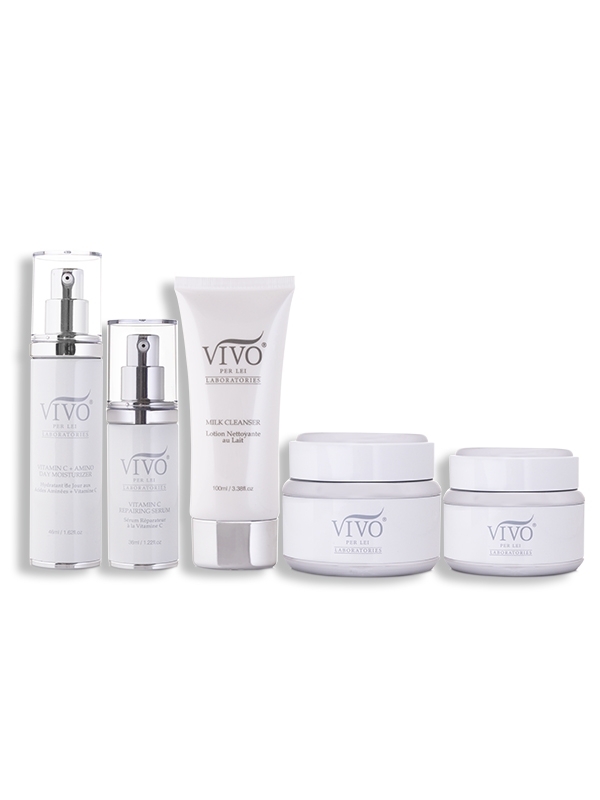 Deliver a smother appearance to your eye area with the Collagen Contour Eye Cream from Vivo Laboratories. 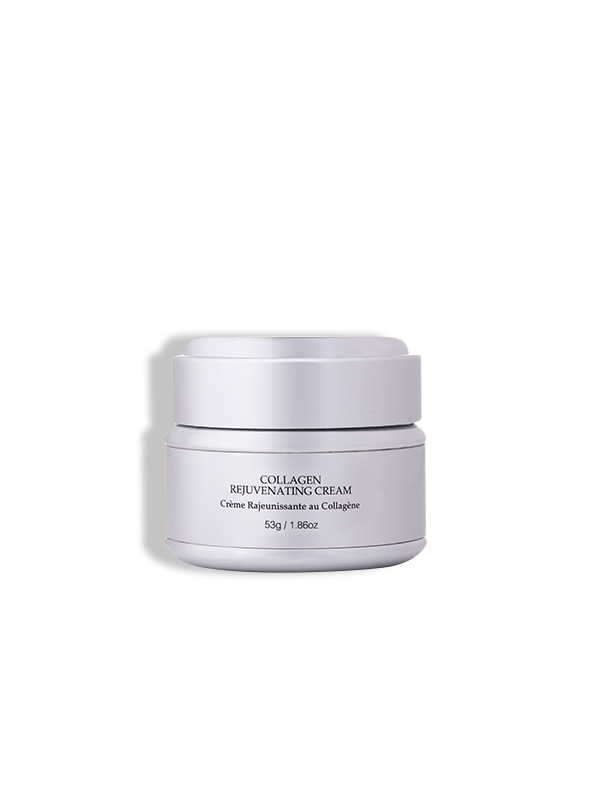 This under-eye cream is infused with Soluble Collagen, Shea Butter, Vitamin C, Vitamin A Retinyl Palmitate and an array of anti-aging peptides to present a tighter and more rested look and feel to your eyes. 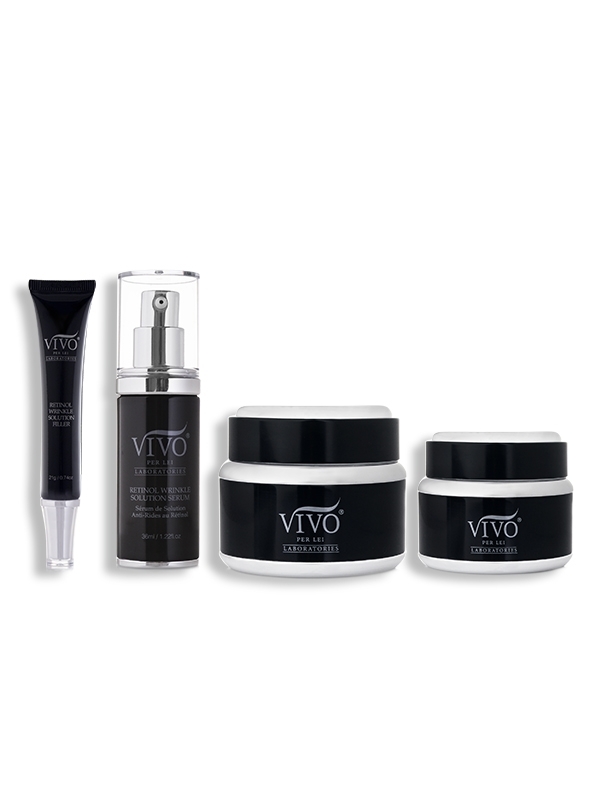 Diminish the appearance of fine lines and crepiness in your eye area with regular use of the Collagen Booster Eye Serum from Vivo Laboratories. 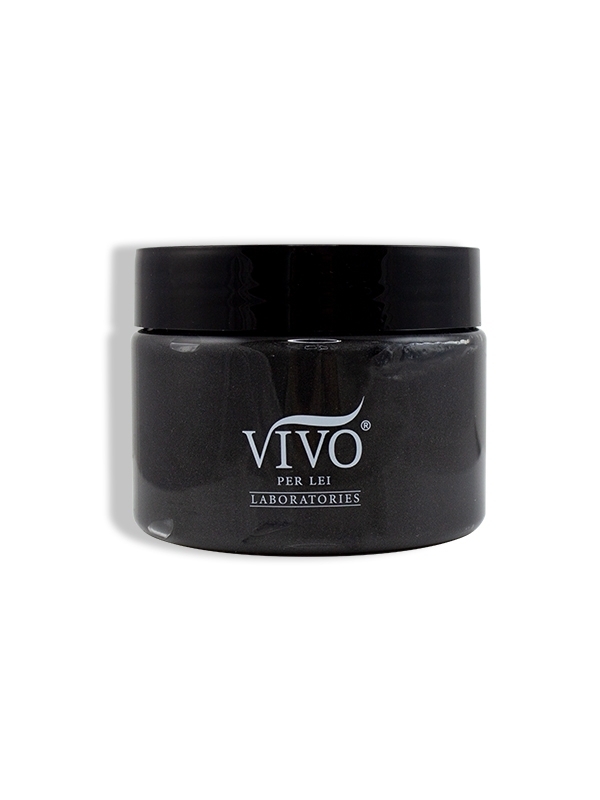 Formulated with Palmitoyl Tripeptide-1, Soluble Collagen, Hyaluronic Acid, Palmitoyl Tetrapeptide-7 and Vitamin A, this lush eye cream absorbs easily, diminishing look of premature aging and leaving your skin with a more refreshed and moisturized feel. 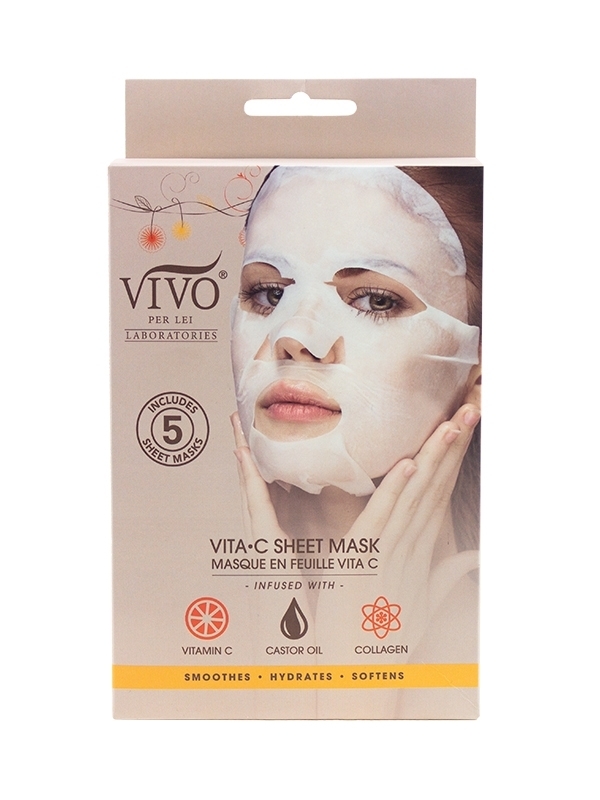 Reduce the appearance of sagging skin with the Collagen Rejuvenating Mask from Vivo Laboratories. 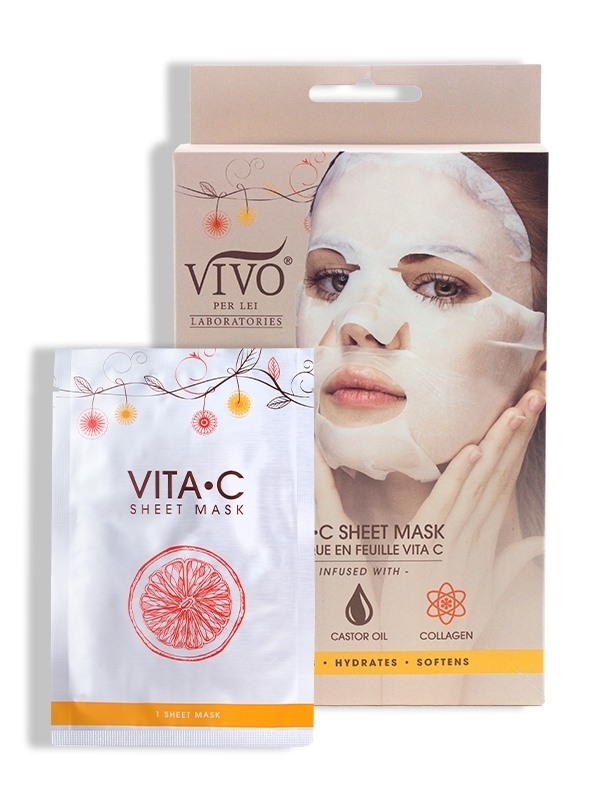 This luxurious facial mask is formulated using Copper Amino Acid Chelate, Aloe Vera, Chamomile and Soluble Collagen to give your skin a more supple look and feel with red carpet-worthy luminosity. 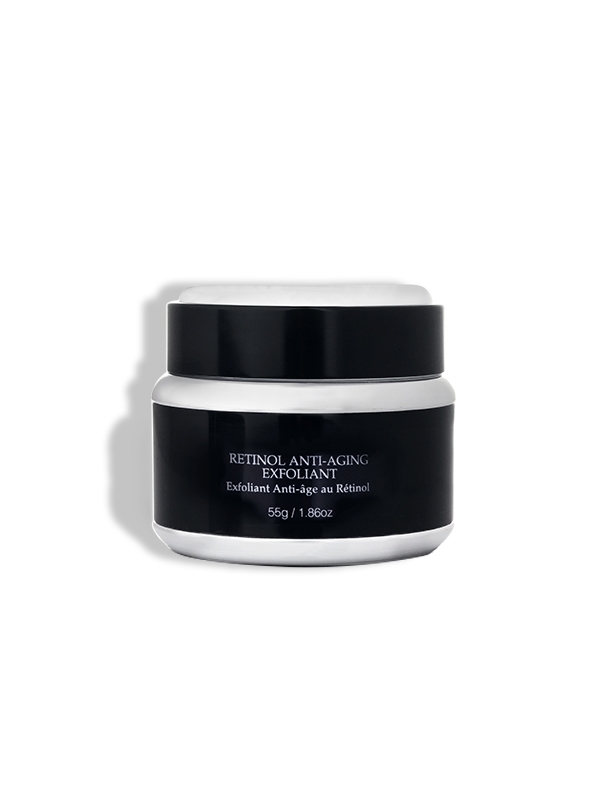 Gently massage a small amount of product onto cleansed face and neck. Use daily. Apply onto cleansed skin. 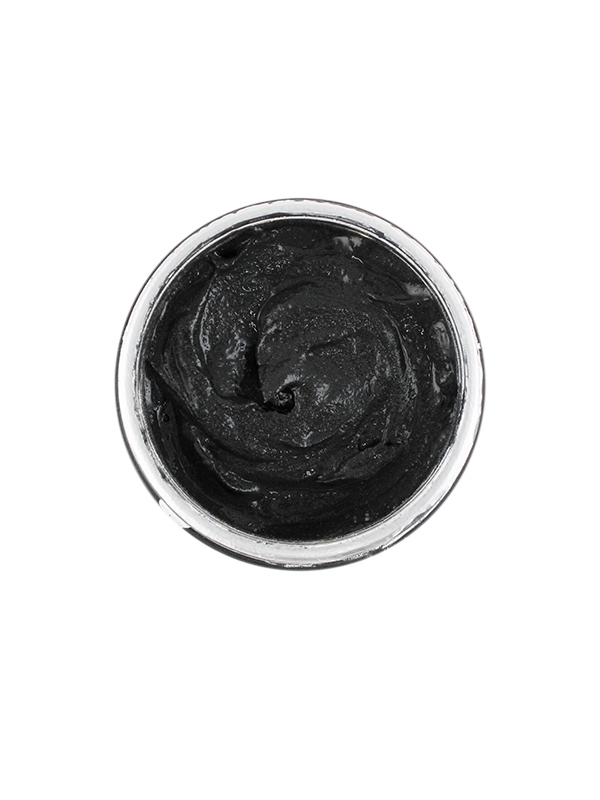 Gently tap a small amount of product onto under-eye area and around your orbital bone. 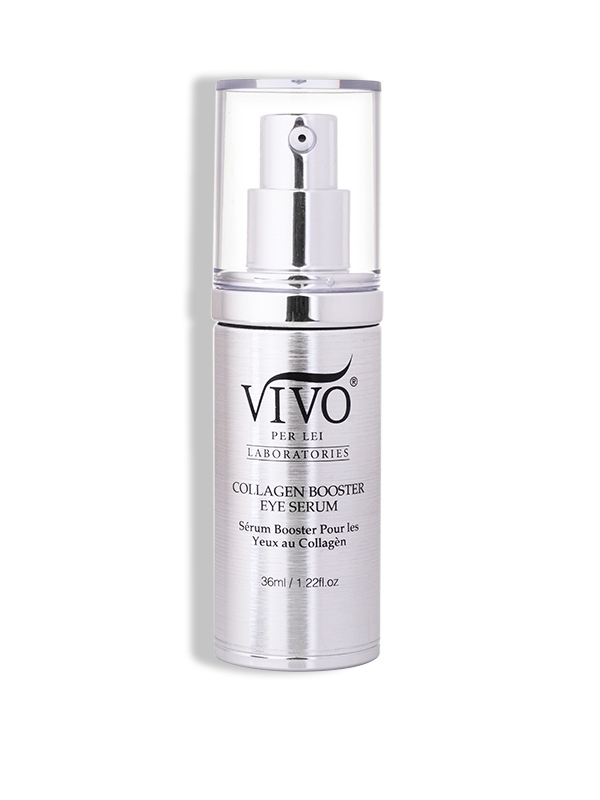 For best results, layer over Collagen Booster Eye Serum. 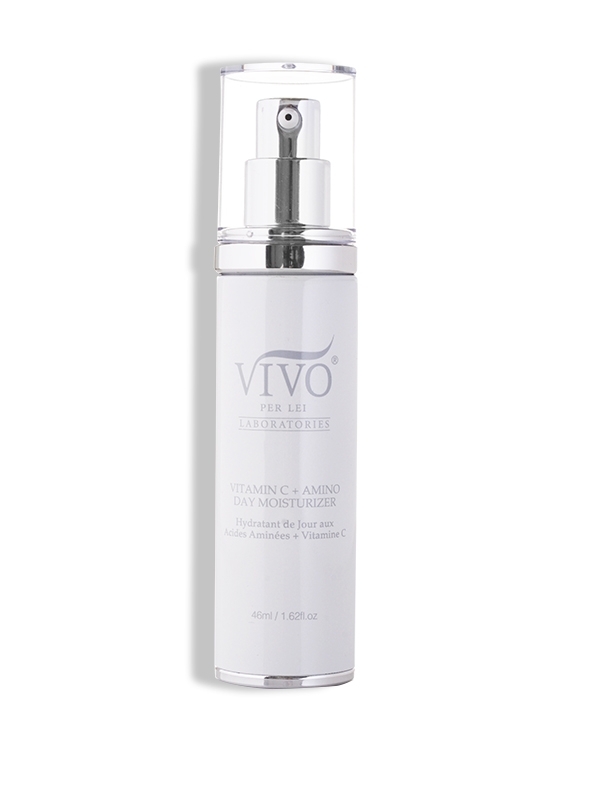 Apply one pump onto fingertips, massaging around the orbital bone and into the under-eye area. 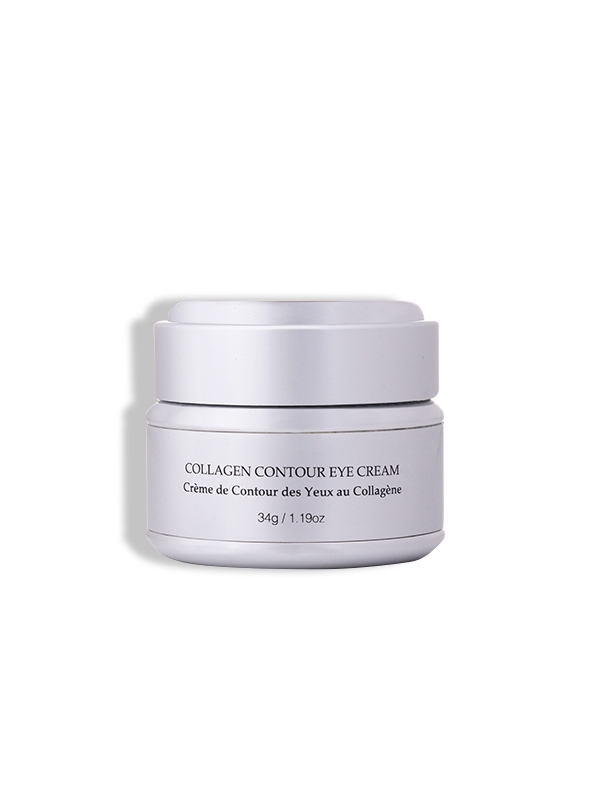 For best results follow with the Collagen Contour Eye Cream. 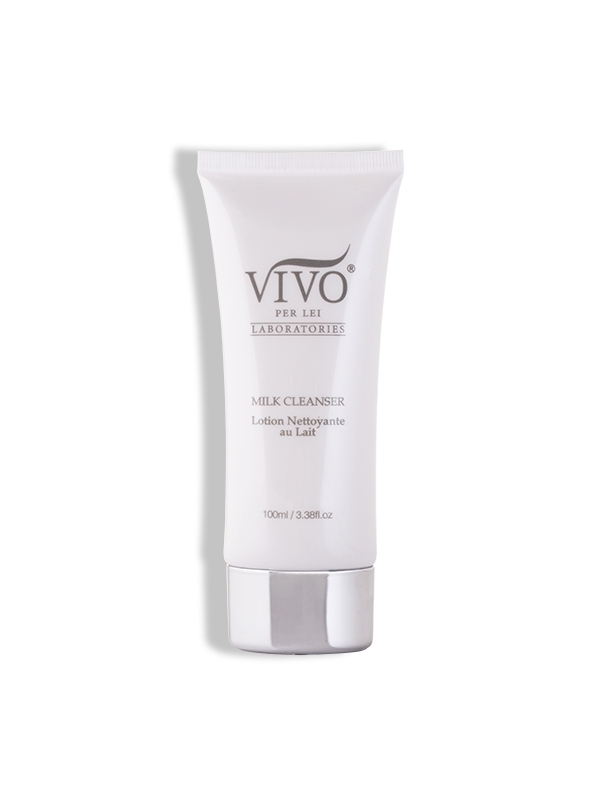 Apply onto cleansed skin. 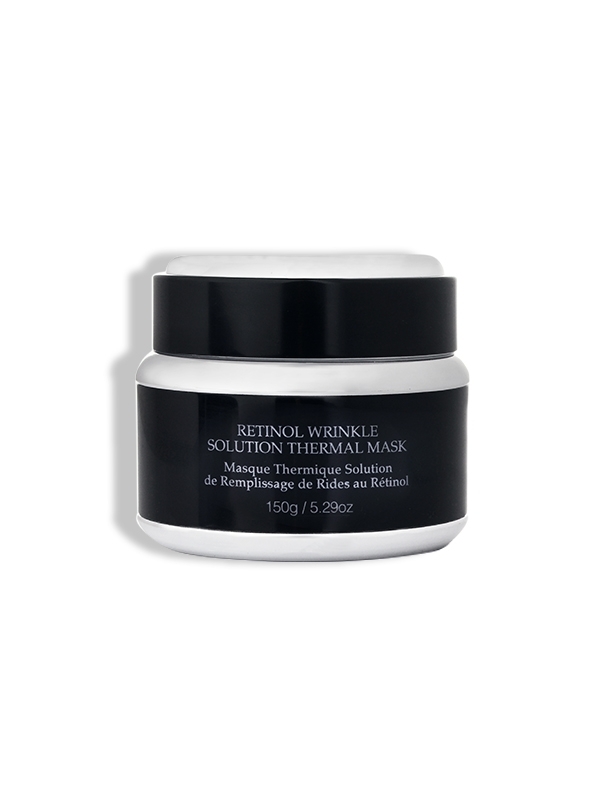 Allow mask to sit for 10 minutes before rinsing off with warm water. Use weekly. Aqua, C12-15 Alkyl Benzoate, Caprylic/Capric Triglyceride, Glycerin, Isopropyl Palmitate (Palm Oil), Hydroxyethyl Acrylate/Sod Acryloyl Dimethyl Taurate Copolymer, Glyceryl Stearate, Cetearyl Alcohol, Nylon-12, Cetearyl Glucoside, Phenoxyethanol, Tribehenin, Isohexadecane, Ceramide 2, PEG-10 Rapeseed Sterol, Butylene Glycol, Caprylyl Glycol, Polysorbate-60, Palmitoyl Oligopeptide, Tocopherol, Ethylhexylglycerin, Dimethicone, Glycyrrhiza Glabra (Licorice) Root Extract, Soluble Collagen, Caffeine, Camellia Oleifera (Green Tea) Leaf Extract, Phospholipids, Carbomer, Tocopheryl Acetate (Vitamin E), Polysorbate-20, Retinyl Palmitate (Vitamin A), Palmitoyl Tripeptide-1, Ascorbyl Palmitate (Vitamin C), Palmitoyl Tetrapeptide-7. Aqua, C12-15 Alkyl Benzoate, Cyclopentasiloxane, Cetearyl Alcohol, Caprylic/Capric Triglyceride, Cetearyl Glucoside, Glycerin, Squalane, Hydroxyethyl Acrylate/Sod Acryloyl Dimethyl Taurate Copolymer, Glyceryl Stearate, Phenoxyethanol, Butyrospermum Parkii (Shea Butter), Butylene Glycol, Hesperidin Methyl Chalcone, Steareth-20, Caprylyl Glycol, Dipeptide-2, Palmitoyl Tetrapeptide-3, Polysorbate-60, Ethylhexylglycerin, Tocopherol, Sodium Hyaluronate, Tetrahexyldecyl Ascorbate (Vitamin C Ester), Soluble Collagen, Phospholipids, Tocopheryl Acetate (Vitamin E), Retinyl Palmitate (Vitamin A), Ascorbyl Palmitate (Vitamin C), Tribehenin, Ceramide 2, PEG-10 Rapeseed Sterol, Palmitoyl Oligopeptide, Hydroxysuccinimide, Chrysin, Palmitoyl Oligopeptide-70, Citric Acid. Aqua, Glycerin, Butylene Glycol, Carbomer, Triethanolamine, Polysorbate-20, Palmitoyl Tripeptide-1, Palmitoyl Tetrapeptide-7, Aloe Barbadensis (Aloe Vera) Leaf Juice, Phenoxyethanol, Sodium Hyaluronate, Ethylhexylglycerin, Ginkgo Biloba Extract, Soluble Collagen, Phospholipids, Tocopheryl Acetate (Vitamin E), Retinyl Palmitate (Vitamin A), Ascorbyl Palmitate (Vitamin C), Mica, Sodium PCA, Allantoin, Titanium Dioxide, Iron Oxide (CI#77491). 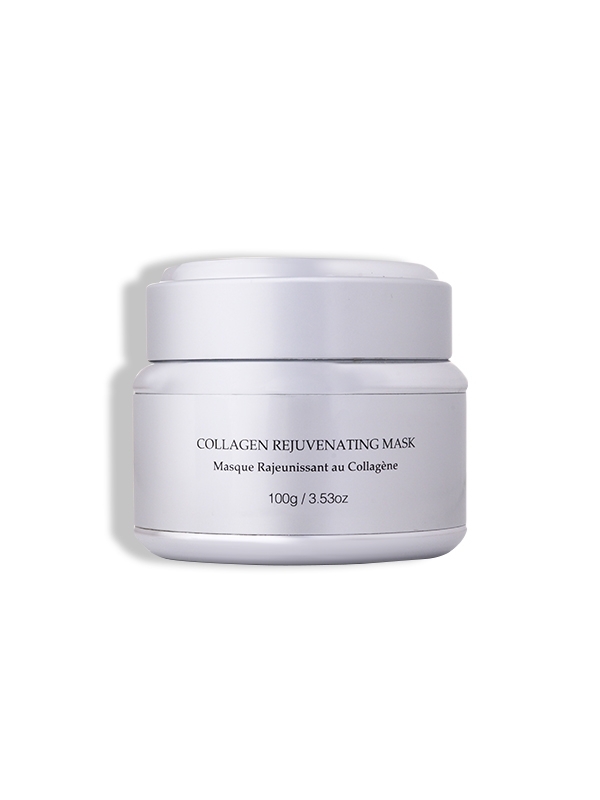 Aqua, Bentonite, Kaolin, Glycerin, Soluble Collagen, Propanediol "Zemea", Magnesium Aluminum Silicate, Glyceryl Stearate, Saccharide Isomerate, Xanthan Gum, Copper Amino Acid Chelate, Aloe Barbadensis Leaf Juice, Fragrance, Phenoxyethanol, Tocopherol, Ethylhexylglycerin, Cucumis Sativus (Cucumber) Fruit Extract, Vitis Vinifera (Grape) Seed Oil, Crambe Abyssinica Seed Oil, Chamomilla Recutita Flower/Leaf (Organic Chamomile) Extract, Argania Spinosa Kernal (Organic Argan) Oil, Simmondsia Chinensis (Jojoba) Seed Oil, Shea Butter Ethyl Esters, Schinziophyton Rautanenil (Mongongo) Seed Oil, Pinus Strobus Bark Extract, Orbignya Oleifera Seed Oil, Limnanthes Alba Seed Oil, Ginkgo Biloba Extract, Cocos Nucifera (Organic Coconut) Oil, Sodium Hydroxide, Citric Acid.